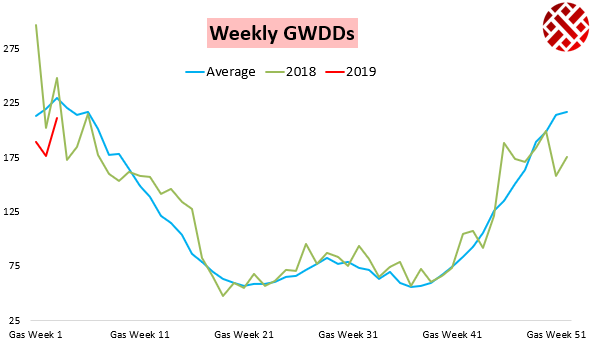 February natural gas prices were initially strong this morning, as overnight model guidance trended colder before afternoon models generally warmed in the long-range. 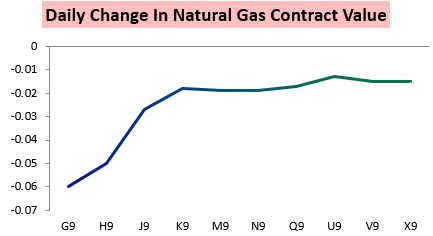 This pressured the prompt gas contract quite a bit, leading it to settle down around 2% on the day. After the February contract led this morning, it lagged the most along the strip into the settle too. In fact, later contracts caught a bid into the settle, pulling the March/April H/J contract spread back to within a couple cents of its recent lows back early in January. 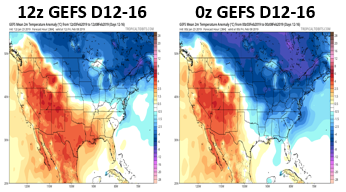 Meanwhile, we can clearly see the warming trend across the South on afternoon GEFS weather model guidance that shot prices lower (image courtesy of Tropical Tidbits). 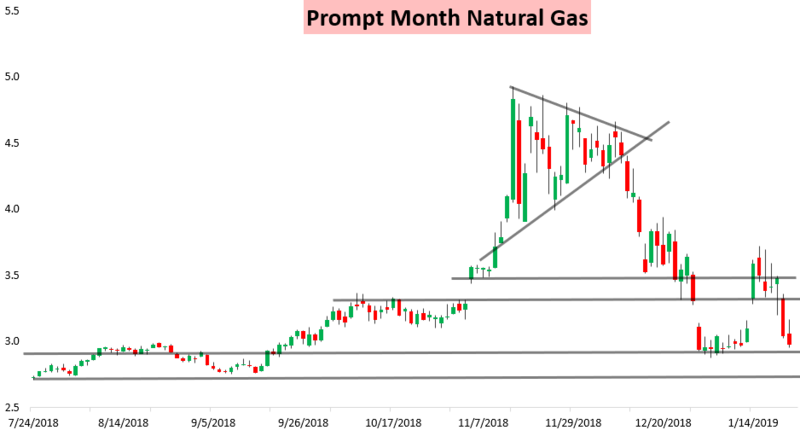 This came as traders were positioning ahead of what should be the largest reported natural gas storage withdrawal of the heating season thus far. 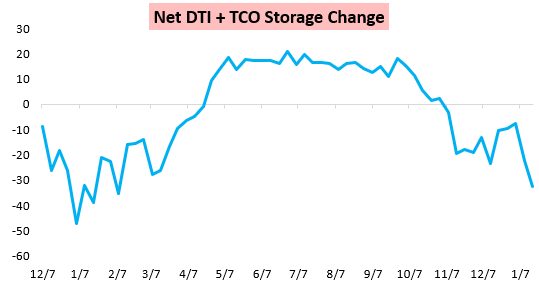 A large withdrawal is expected in the East particularly, where both DTI and TCO announced their combined largest storage withdrawal of the winter thus far. 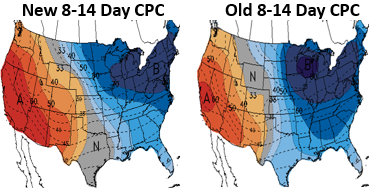 Yet there is little doubt that forward weather forecasts will matter more to traders than the EIA print tomorrow unless it misses significantly from consensus, as it was the warmer Week 2 risks across the South that really hit prices today. 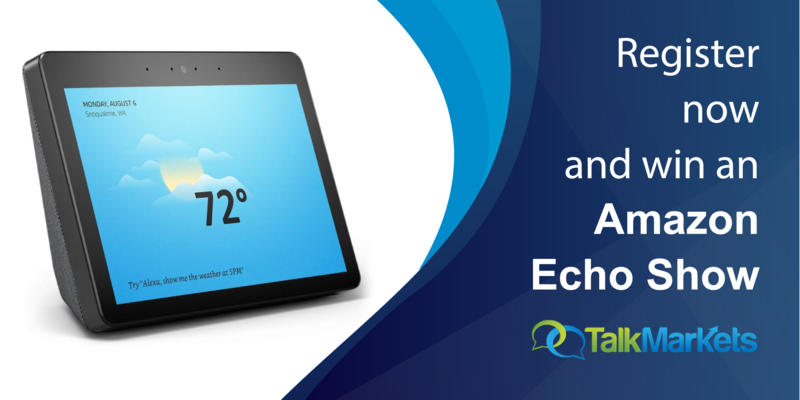 Either way, we expect an active day tomorrow with significant weather forecast changes and an important EIA gas storage number to be announced.